You are currently browsing articles tagged LED. LED tube lights use approximately half the electricity used by a fluorescent tube – and that should be very appealing to anyone paying the bills! BUT… the problem is that until recently, the cost of the tube has been so high that the savings do not cover the purchase price within the life of the tube. All that has changed as the cost of the tubes has halved in less than six months due to increased volumes and new technology that sees more than 100 lumens per watt being emitted. These supplier price decreases mean that our tubes are now well priced and can fully return their purchase price within three years of purchase and this leaves a full additional three years of savings. It is time now for office managers to start thinking about the change to LED tube lights. Not only will you save money, but you will reduce maintenance costs because unlike fluorescent lights that last 4000 hours, LED tubes go for 30-50000 hours. Oh, let’s not forget you’ll be halving your lighting carbon footprint! Take a look at our LED tube light offering here. 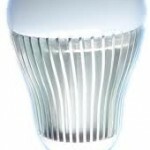 The good news for consumers is that the price of LED lights is headed in the right direction – downwards. The one type of LED lighting that we have been waiting to see come down in price is the LED tube. These fluorescent tube replacements are only 50% as energy efficient as the fluorescent tubes they replace so the cost dynamics are really less in their favour than downlights where a 3W LED can replace a 35W halogen light. So, to see prices on an 18W tube fall from US$27 down to US$18 is gratifying. It means that breakeven timing will fall into a more reasonable time period and make these lights an option. At the same time, the latest ESKOM electricity price hike is also helping to make even a 50% energy saving more attractive to the relatively high cost of the LED tube light. To make matters even better, consider the newer high power LEDs which are putting out more lumens and that means we can go down to 16W and still get the same light output as a 36W fluorescent tube. It’s time to think about LED tube lights for home and office applications. Remember also that you’ll be doing your bit for carbon saving as you’ll reduce CO2 emissions by half while we drop our prices to help you do this. The news we like to hear! Y.F. 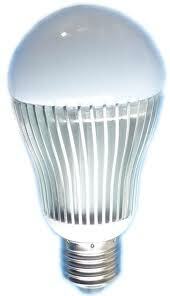 Yeh, Everlight ‘s Chairman, has stated that led light bulbs will drop to less than US$10 in the second half of 2012. This will come on the back of a soft first half of 2012 and will be driven by stronger demand after June 2012. LED lights are gaining popularity as consumers begin to understand the energy saving potential and manufacturers hit higher lumen/watt figures and quality improves. Quality improvements are the key to increasing confidence in the industry, where over promising and under delivery are common. Hopefully, softer demand in H1 2012 will drive fly by night companies out of business and will leave more genuine suppliers like LED Lighting Solutions in a better position to advise customers and provide high quality lighting. All in, this bodes well for the LED lighting industry and more importantly, for the consumer. A World Bank assessment of lighting in Tanzania found that 37% of people (the largest single grouping in the study) wanted improved lighting for the impact it would make on the education of their children. They said that it would allow their children to do their homework at night. 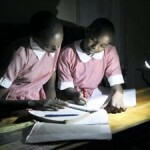 This concept may be foreign to those in developed countries, but in Africa, candles and paraffin lamps are mostly used by children to do their homework. The flicker and poor light quality often leads to eyestrain and concentration problems with shorter study times being the result. LED lights are low power consumers and are thus perfect for use with a small solar panel and rechargeable battery pack. Yet low quality led lights that fade very quickly (lumen depreciation) and sub-standard battery packs that do not last more than a few hundred cycles, are damaging the market. Poor people cannot afford to make mistakes on new technology and given the social dynamic of African communities, word of failure spreads fast. 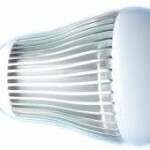 We need to ensure that only good quality led lighting finds its way into the market, and we need to encourage it. Education is the key to development (and to buying good quality LED products), and until we recognise that and do everything needed to improve it, we will not see the growth in Africa that we all wish for. Promoting affordable and useful lighting technology is one way we can do this – and as LED lighting professionals we also need to educate the consumer about the technology to avoid damaging what has to be one of the most important technologies of the millenium.